We recently had the opportunity to speak to Bryan Eisenberg, a recognized authority on conversion optimization. He is also a Wall Street Journal and New York Times bestselling author, one of the pioneers in online marketing, persuasive content, and persona marketing. 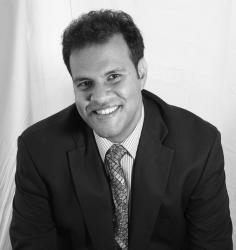 Eisenberg has over 10 years of experience in conversion optimization and persuasive marketing. During his career, he has consulted small, medium and large B2B & B2C companies like HP, Intel, Overstock, NBC Universal, ICE.com and hundreds of others in crafting sound marketing strategies to optimize customer experiences in order to convert more leads, subscriptions, and sales. A little known strategy on improving conversion rates during the holiday season. How to get conversion rates up to 15% on Pinterest. The need to have separate campaigns for mobile and desktop and its implications on conversion. How having “Scent” between your ads and landing page can reduce your bounce rates and increase conversions. 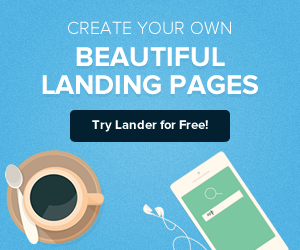 What landing page persuasion tips can you give us to improve conversion rates? Eisenberg: I can give you one idea that will work for social media, landing pages and other mediums. 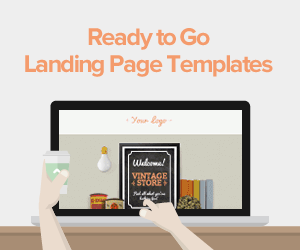 You can create landing pages that are related to gift buying ideas that are buying guides. For example – “How To Buy Gifts For My Dad Who Loves Golf” or “Buying Gifts For The Busy Mom”. 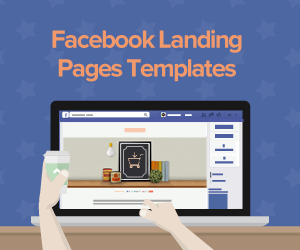 Come out with all these ideas and have these interesting products with landing pages related to that. Most importantly on these pages, you should be talking about a Holiday Gift Buying Guarantee. This is because holiday gift buying and the decision to buy items starts very much earlier, especially here in the United States where people are already thinking of holiday sales, doing searches and are already leaving notes to retailers. So, if people get to know that they can buy the item today and return it 30 days after the New Year - you will see more holiday sales because they will feel more comfortable in purchasing it to give it away. What's the ‘The Conversion Trinity’, you talk about in your ebook? The Conversion Trinity: Relevance, Value and Call to Action. How Do Retailers Optimize the Use of Pinterest? Eisenberg: Social media and sharing has become a lot more visual. As people become busier, they have less time to read Tweets and Facebook updates. A picture can tell a thousand words. With an increasing popularity for apps like Instagram – there is also an increase in interest to collect pictures like these in the form of Pinterest. So we need to think in that direction. Images need to be optimized like naming the picture and other typical SEO optimization strategies. We also find for the “fashionable category”, this works extremely well. For example, a friend of ours who sells cases for the iPhone; every picture on Pinterest gets him 9% - 15% conversion with good enough volume. It is also very relevant, people saw the picture of the case, they like the case and they just buy it directly. How Do You Optimize E-commerce for Mobile? Eisenberg: Mobile changes the way we look at the internet as people are always connected. We need to realize that the relevance is different than on a desktop. When a person is searching for jeans on the desktop, they would just want to browse different jean styles. Whereas a person searching on mobile is searching for a place to buy the jeans. 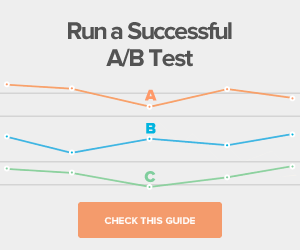 So, you might want to optimize differently for different channels. You also want to have different search and marketing campaigns for different channel. Too many people lump iPad, mobile and web as one campaign which doesn’t work, you need to separate it out to different campaigns. It’s also different levels of content. On the web, I can take a page that is endless, but on mobile, I just want the key punchy points to make a quick decision. It's also: how do you communicate in Twitter type with 140 characters or less a great image and make it easy for me to share? When I find a perfect product on my phone I want to share it to purchase it on my desktop to give me an easier way to share that URL. The user behaves differently on desktop and mobile, and you understand it a little to make changes to your website to change the experience and improve conversions. What can you tell us about the “scent” between the Ad and Landing Pages? Lead your customer to the most relevant option in order to improve your conversions. Eisenberg: It amazes me that one of the earliest research studies about internet behaviour and how people navigate in cyberspace was in 1994. This was very early, when Amazon wasn’t even selling at this point, to put that in perspective. Dr Ed Chief of Xerox identified that people are information foraging animals. What this means is that people get focused on a task that we are after. If you think about it, when you do a search and can’t find the word or similar word on the landing page, you are going to bounce back. It also works for visual stuff when you have a banner and landing page to have similar imagery, but not necessarily identical, to create interest and have similar offers and similar logos. Scent is about having continuity in the promise of the ad and the landing page. Here’s an example I see in retailers doing wrong. For instance I want to take people who are interested in brown boots. I have 36 styles of brown boots at 20% off in stock and ready to ship. I take them to my landing page and maybe I show them my 36 styles of boots but nowhere does it say that is in stock and nowhere does it say it’s on 20% off. Maybe it is in the price but it does not shout at the top 20% off. Think of this both as a searcher and search engine’s point of view. All the search engine is trying to do especially in the quality score is to see if you are living up to the promises that you put up in your ad with your landing page, how good quality your ad is going to be. That’s, scent and the relevance part of the conversion equation and of value in your ad. You need to repeat the value in the landing page. It’s about fulfilling the expectation of the user from the ad to the landing page. How important is it to be fast testing and executing? Eisenberg: I talk about this all the time in a baseball analogy. I am not sure if you watched the movie Moneyball with Brad Pitt. The basic premise of the movie is that there are different metrics of success, and perhaps we should look at these metrics differently, then we can be a bit more successful. That’s what a lot of organizations have done. I like to talk about the E-commerce Moneyball example. I mentioned Amazon earlier. In the mid 1990’s they were competing with the likes of WalMart, Barnes and Noble, Borders – these were large organizations with bigger funding than Amazon. But what Amazon did was they leveraged on certain trends – they leveraged social commerce, added in reviews before anybody realized how important reviews are going to be. But more importantly, they had a culture of optimization and execution. At any given time, they had over 200 tests running on their site. The day Michael Jackson passed away; they changed their whole MP3 store in 2 hours. Most companies can’t even get a meeting together in 2 hours and they changed the whole store. It’s these types of behaviours that Amazon allows their organization to have that have made them the E-commerce giants they are today. 30% of E-commerce stores have been taken over by Amazon – that is because they focus on optimization, focusing on operating in real time – that’s what is happening right now. Do you think the pace of business is running slower or getting faster? It’s sort of obvious especially as mobile changes and the world changes. If we don’t adapt to be as fast as an organization, they will keep taking over E-commerce stores out there. You need to adapt a cultural metabolism that is quick and take advantage of opportunities available. Do you think these tips could help your business? What can you tell us of your experience on Holiday season campaigns? Just leave your comment below and get a chance to win one of the 3 copies of Bryan and Jeffrey Eisenberg’s latest ebook “21 Secrets for Last Minute Holiday Sales” we'll be giving away exclusively for Lander's community.